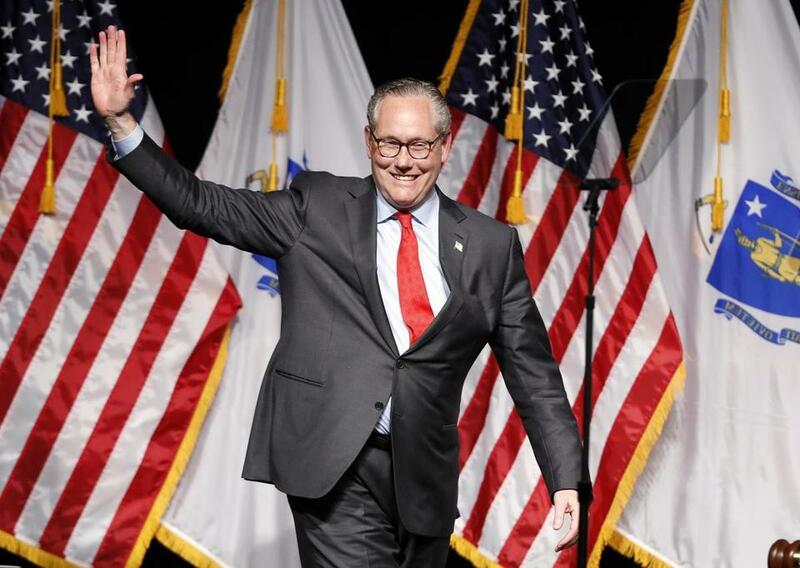 Seeking to run against US Sen. Elizabeth Warren, John Kingston waves during the Massachusetts Republican Convention at the DCU Center in Worcester, Mass., in April. US Senate candidate John Kingston said he wants to “get this party started” — but those in his own party aren’t getting an invite. One of three Republicans vying to face US Senator Elizabeth Warren in November, Kingston said Wednesday he is launching a $500,000 media campaign that will include ads on the radio — and potentially, television — into early July. But, in those advertisements, Kingston said he does not intend to focus on his current opponents —state Representative Geoff Diehl or longtime GOP official Beth Lindstrom — both of whom are also running in the Sept. 4 primary. “People will recognize in the general election, when we get there, that Elizabeth Warren is the embodiment of what’s wrong with Washington right now. She’s the most divisive politician that’s on the ticket for an election this cycle,” Kingston told reporters after a campaign event at Carrie Nation in Boston, where he spoke to about two dozen people, including family. And, he was asked, what about his primary opponents? The strategy to home in on the opposing incumbent, even in a competitive primary, is not new. Diehl and Lindstrom both repeatedly frame themselves in terms of their ability to oust Warren. The largely self-funded, first-time candidate telegraphed the move earlier this month when his campaign, in slashing staff salaries and fees to advisers, said it intended to pivot to the airways in his bid for the Republican nomination.